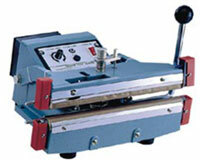 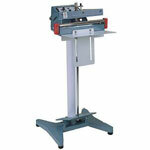 This double hand impulse sealer uses top and bottom jaws to seal. 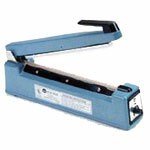 Its dual heating elements are perfect for applications that require more heat than what a regular hand sealer produces. 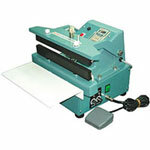 This 10 mm manual double impulse sealer can seal material up to 20 mil thick, making it ideal for sealing plastic lined, foil and gusset bags. 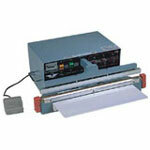 Its heavy duty transformer makes it perfect for high volume production.